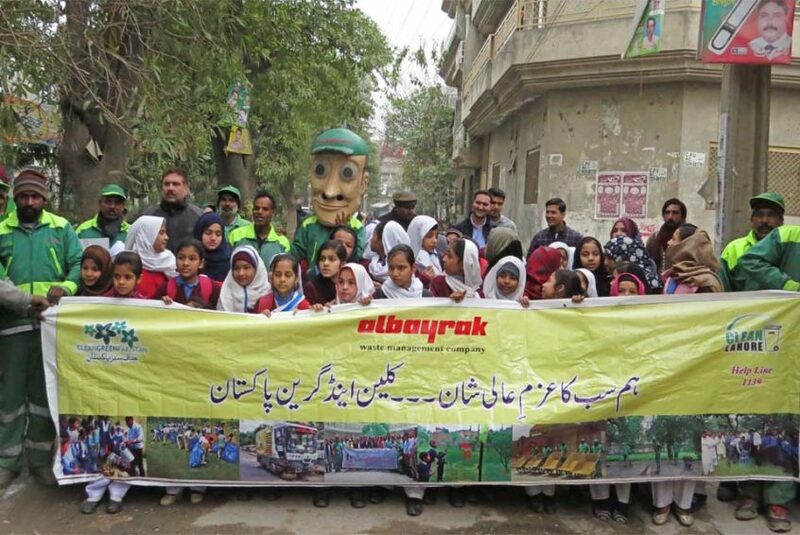 Lahore: As a part of Clean & Green campaign, the students of Government Girls High School, Tajpura joined the cleanliness awareness & plantation drive of Albayrak Waste Management on Wednesday. The drive aimed to sensitize the citizens especially students about their individual role in keeping the city clean. An awareness camp was established where Albayrak team along with the students distributed pamphlets among residents, shopkeepers and pedestrians. A mega cleanup operation was also conducted, which was supervised by Senior Manager Operations Albayrak Fateh Kirici. Later, the students and Albayrak senior management planted saplings in the area and emphasized on the importance of plantation to curb environmental pollution. The one-day activity was concluded with an awareness walk.